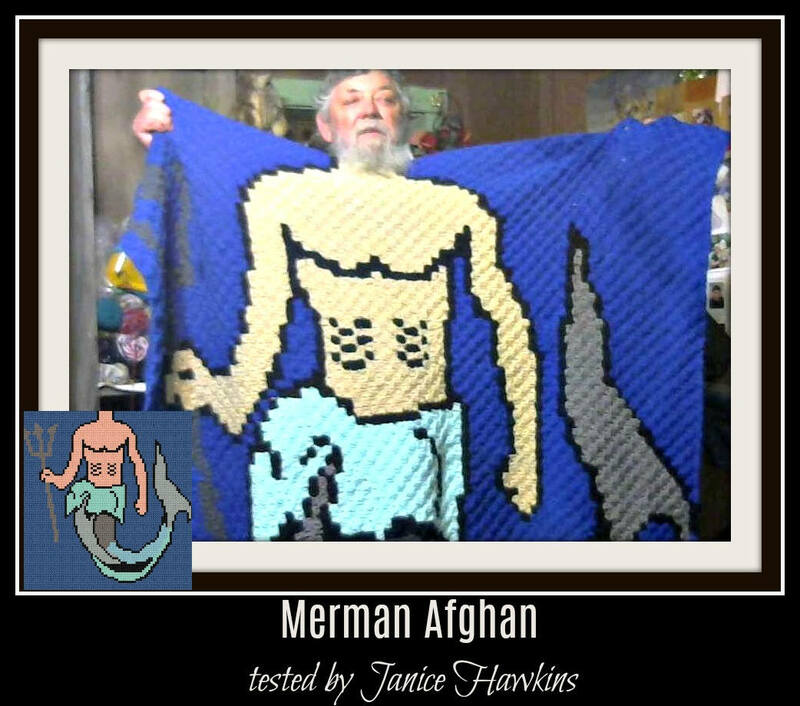 Thank you for considering our Merman Corner to Corner (C2C) crochet graphs and instructions. Now the men in our lives can have their own "Mermaid type" cover up to keep warm! The Merman Pattern also has a page that gives additional measurements and yarn requirements for Sport or Baby #2 yarn using either hook F, G or H - Light Worsted Weight Yarn #3 using either hook F, G or H - Medium Worsted Weight Yarn #4 using either hook G, H or I so you can find the right size for you.